iOS 12 Update: Should You Update Your iPhone to iOS 12? With the many updates that you receive on your iOS devices, you will tend to be careful because you are not sure if the updates will give you problems or not. The iOS 12 updates have interesting features and functions that make them curious to try. But with so many unknown and the fear of having problems once you update iPhone to iOS 12, there are many questions that you may ask. In this article, we give you balanced and detailed information to this question and more questions on the iOS 12 updates. 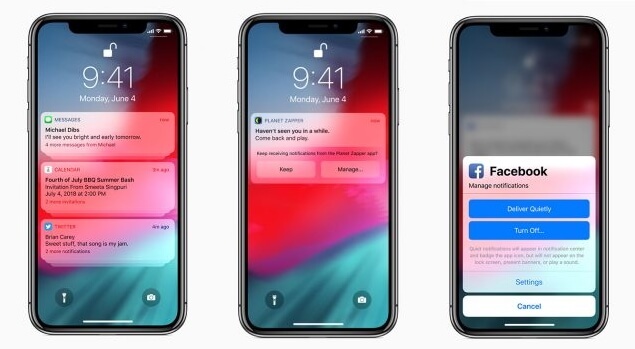 This is a feature that will make you upgrade iPhone to iOS 12 so that you can have a more organized notification center. You will be able to easily check your latest notifications from any app without having to browse through the entire notification center. Group notification will also help you to customize your iPhone’s notification settings of each app from a locked screen. Normally if you want to close out of a specific app you will have to long press a card in the app switcher then click the minus tab. But once you update iPhone 8 to iOS 12 all you need to do is swipe up once then swipe up again on the app and you are done. Once you update iPhone 8 to iOS 12 its new password features will allow you to easily share your iOS password with a Mac device if you are close enough to each other. If you are a developer, the password features will give you access to third party password manager apps by going to the quick type suggestions on the new password manager API. Due to the tight measures that Apple has created when it comes to creating passwords, you cannot use the same password that you have used in another account. You will receive an alert asking you not to reuse the password and automatically create for you a strong password that will be stored in your keychain. Third party password managers can use the auto support that will automatically enter the six-digit code that is sent to your phone to verify a two-factor authentication login. Group FaceTime is an iPhone feature that allows you to have FaceTime video or audio conversations with up to 31 people simultaneously. You can create Face Time group chats from your contacts and use the Memojis, Animojis and camera stickers that come with the messages app to make your chatting time more interesting. Safari is a secure stock web-browsing app that is increasing its security in iOS 12 with the help of powerful privacy tools that will provide extra security to your private information. Anytime that you are on a web page and you use the Like, Comment or Share features, Safari will alert you that you can be tracked if you use them. Safari will also allow you to create passwords and store them. You will also be able to securely and quickly access saved key log in to websites. Screen Time is a feature that provides you with a detailed daily and weekly report that shows you how much time you spend on each app, the usage of the apps, how many notifications you’ve received and how often you have received calls on your iPhone or iPad. This feature will allow you to control how much time you spend on each app, website or category of apps by setting limits on time spent on apps. You will receive a notification each time the limit expires. Parents can use this app to limit their children’s access to certain apps on their phones. During Downtime you will not receive notifications and all apps not allowed will be displayed using a badge. You can set specific apps like contacts to always be available even when there is a time limit or downtime. Screen Time uses family sharing that is easy and quick to setup by either remotely or locally configuring the settings of your child’s iPhone or iPad. 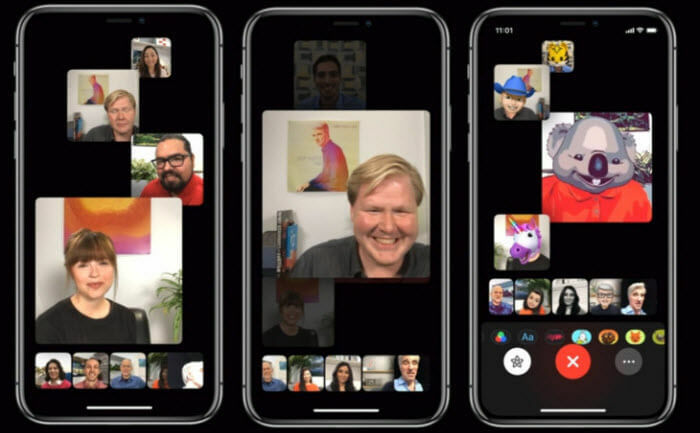 Not all iPhones running the iOS 12 will have the Group FaceTime feature working as properly as it should. The downside is the video and audio call features can only work in iPhone 6 and newer versions while the audio is only supported by iPhone 5s, 6, 6 plus, and the iPad mini 2, 3 and iPad Air. After you update iPhone X to iOS 12 your iPhone can freeze up suddenly at any time. 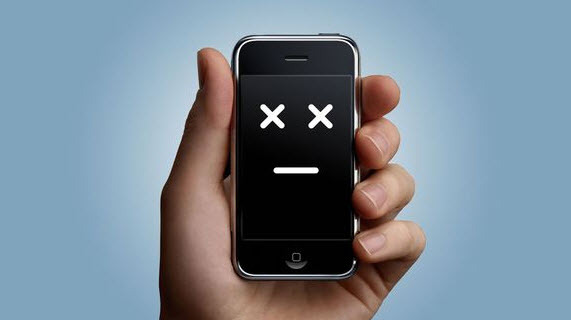 You may find that your iPhone is stuck on a spinning wheel for a few minutes then it fixes itself. It is not clear why this happens but the transfer of documents can trigger the freeze up. Your iPhone system is running on apps that have been designed to work with that system. In case of a new or major update and for the apps to perform as expected, you will need to update iPhone to iOS 12 for the apps to be optimized so that they run with the new software. But not all of the popular apps can be optimized when they are supposed to hence some issues will arise with the iOS 12 beta and the third party apps. Even though there is a downside to update iPhone X to iOS 12, there is a lot of good that the updates bring. Your will be able to use cool features and apps that make using your iPhone or iPad simpler and easier to use. 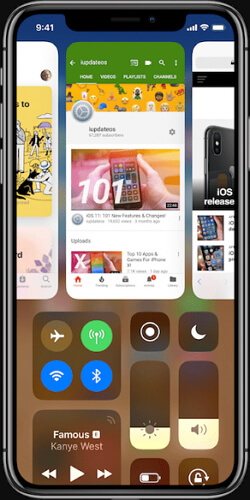 With the above information you are now better informed on what to expect with the iOS 12 updates.